A. I first started working at ISAS in the Central Office in 2002 as a research assistant during my first year of graduate school at UIUC. Over the next two years I assisted Mary Simon with ethnobotanical analysis and Doug Jackson with ceramic analysis. 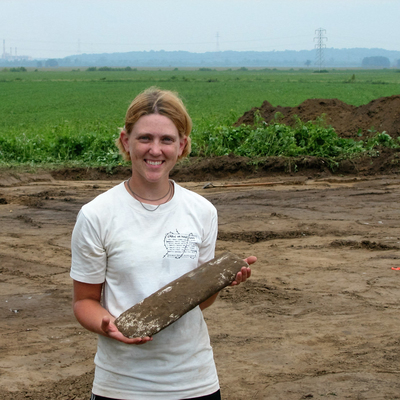 In the summers of 2003 and 2005 I excavated at the Janey B. Goode site near East St. Louis. I began working for the American Bottom Field Station (ABFS) in 2006 while completing my dissertation research. Over the last 11 years I was involved with several projects and had the opportunity to excavate a variety of Late Woodland and Mississippian sites with experienced and knowledgeable colleagues. Brad Koldehoff, Jeff Kruchten, Tom Zych, and Julie Bukowski were particularly influential during my early years at ABFS. I was promoted to Research Archaeologist in 2011 and served as a site supervisor during the excavations of East St. Louis for the New Mississippi River Bridge project. 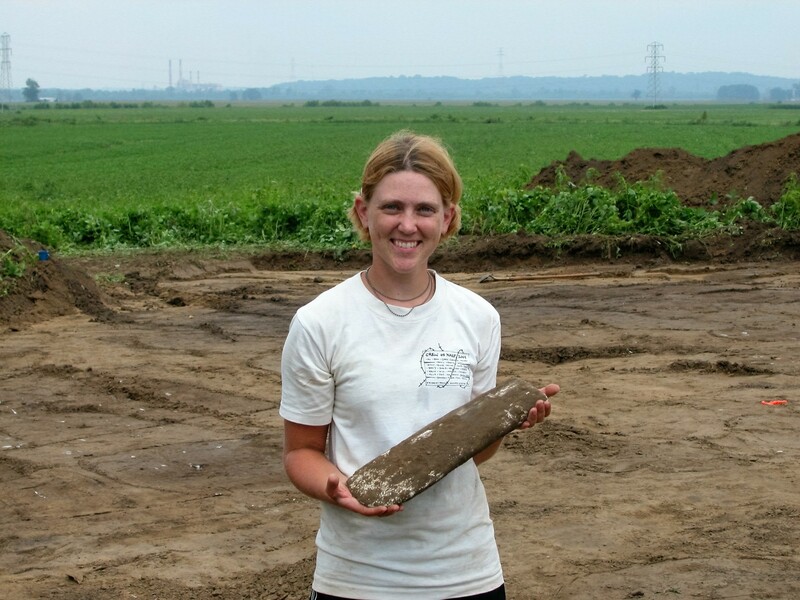 In 2013, I assumed my current position as a Senior Research Archaeologist. My time is devoted to the analysis and reporting of features and ceramics from East St. Louis. A. I’ve always been fascinated by history, particularly periods without written records. I was mostly interested in the archaeology of the New World and decided to focus on Mississippian archaeology in Illinois because it’s right here in the U.S. You don’t have to go to far-off exotic places to do archaeology. Cahokia mounds is still one of the most incredible archaeological sites I’ve visited. The massive earthen mounds and plazas give you a sense of what it would’ve been like to walk through this bustling city 1,000 years ago. Fortunately, I have been able to work both at Cahokia and contemporaneous settlements throughout the region. A. In my undergrad I was heavily influenced by Patricia McAnany. She’s an accomplished archaeologist who works in the Maya region. She challenged me and expected nothing but my best in both the classroom and during my field school in Belize. In graduate school I worked with Tim Pauketat who introduced me to Mississippian archaeology in the American Bottom and expertly guided me through the program at UIUC. He still lends an ear when I need advice. A. I love working with people, especially in challenging field conditions. Team work is essential, particularly when dealing with complex feature superpositioning during hot and humid St. Louis summers! While in the lab I enjoy working with ceramics. I am consistently impressed by the level of skill required to make some of the pottery we analyze. My attempts to recreate pots fall far short but give me a new perspective when working with archaeological assemblages. A. Find (or create!) a support system, it can be tough to go it alone. I have a wonderful group of friends who are also archaeologists. The way we help each other is both comforting and empowering. A. I’m most proud of my work with the New Mississippi River Bridge project at East St. Louis. I was heavily involved from fieldwork through analysis and now reporting. 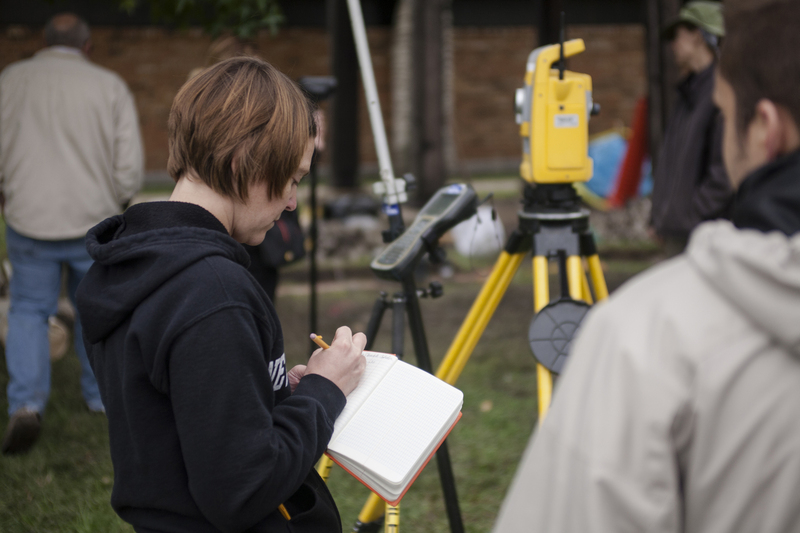 I had the opportunity to work with a wide range of people and to train others in field methods and ceramic analysis. It was a massive and important undertaking and I count myself lucky to be a part of it.